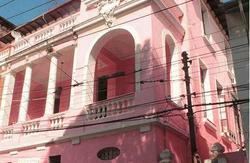 Welcome to Art Hostel Rio! 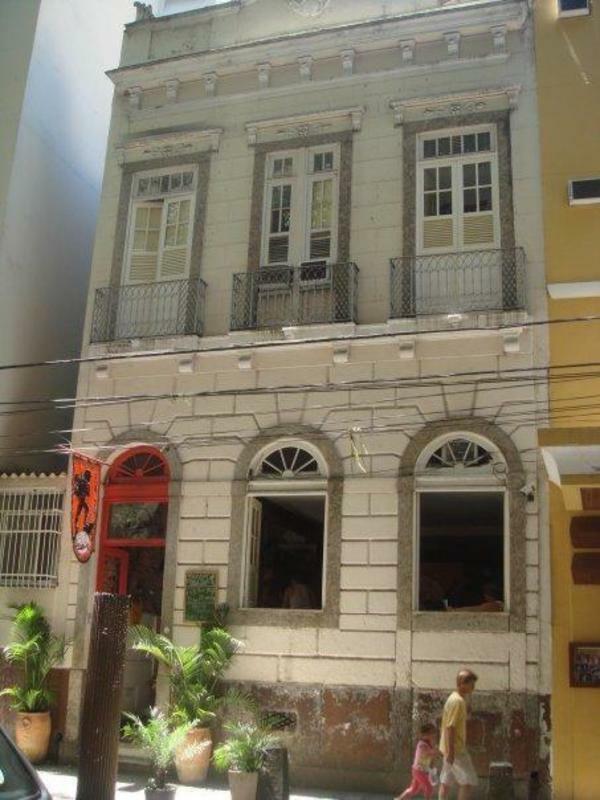 The hostel is a beautiful redeveloped old building from the end of the 19th Century, situated just over the road from the gardens of Catete Palace, Brazil’s presidential palace from 1894 to 1960. Home to many consulates and art-decó buildings, nowadays it is mostly a middle-class residential neighborhood. All of rooms have private bathroom, ceiling fans, private lockers and the hostel offers lockers, lines and towels. A buffet breakfast is served each morning in the breakfast room. It includes a variety of fresh fruits, breads and cold meats, as well as a selection of hot and cold drinks. Only 20 metres from Rio de Janeiro’s Catete subway station and ten minutes walking from Lapa, Art Hostel Rio offers lounge areas, shared accommodation, free computers, free cable tv room, shared kitchen and free Wi-Fi. There is a sundeck with loungers and Flamengo Beach is 500 metres away. Maracanã Stadium is 9 km away, while downtown of Rio is only 3 km from the hostel. Santos Dumont Airport is 3 km away and there are buses from Galeão Airport that stops in our corner. As the name implies, the Art Hostel Rio frequently has students, artists, and musicians staying here, and our walls and rooms show off some of their works. So come to the Art Hostel Rio to build great memories with us! 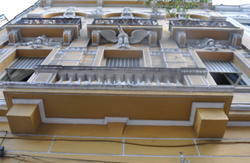 The hostel is a beautiful redeveloped old building from the end of the 19th Century, situated just over the road from the gardens of Catete Palace, Brazil's presidential palace from 1894 to 1960. Home to many consulates and art-decó buildings, nowadays it is mostly a middle-class residential neighborhood. Only 20 metres from Rio de Janeiro's Catete subway station and ten minutes walking from Lapa, Art Hostel Rio offers lounge areas, shared accommodation, free computers, free cable tv room, shared kitchen and free Wi-Fi. 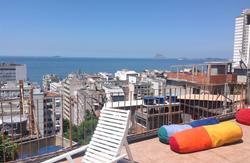 There is a sundeck with loungers and Flamengo Beach is 500 metres away. Even if the booking engine allows you to book less nights for the New Year or Carnaval packages, your booking will NOT BE VALID if you do not book the whole package (which means you will lose the deposit paid). Extra nights will be charged at normal rates. The dates of the package are flexible. If you need to make changes after the booking please contact us immediately. Bookings for New Year, Carnival, Brazil Holiday's and June/July of 2014 are NON REFUNDABLE.. Taxi: From Galeao, yellow taxis usually cost around R$50, depending on traffic. However, radio taxis may cost R$70 (fixed price). From Santos Dumont, cost around R$20 (yellow taxis) and R$45 (special taxis). By Bus: You can get the airport special bus (REAL PREMIUM). It costs R$13. Either you get off in Santos Dumont airport and get a taxi (costs around R$37 to here) or keep going by bus and get off close at Praia do Flamengo, close to Palácio do Catete. You walk 5 minutes (1 block) until you get to the hostel! Get one of the busses 170 or 178 in front of the bus station. It costs only R$2,75 and ask to the driver to stop in the corner of Rua Bento Lisboa with Rua Silveira Martins. Walk 100m to our door.